It’s April again, and that means Easter is approaching! If you’re like many other Australians, you are looking forward to lots of candy, having a big Easter brunch, setting up an Easter egg hunt, or visiting with friends and relatives. From a dental perspective, this means far too many sugary refreshments. Luckily, Forster Dental Centre has the tips you need to protect the health of your smile and that of your family. To help you navigate the sugary Easter season, Forster Dental Centre offers the following information on the dangers of Easter sugar and six tips on how to deal with it. Health experts say that the average Australian woman should consume less than 25 grams of sugar daily, while men should have 35 grams – no one should exceed 50 grams, in any case. Suppose you eat one Cadbury Crème Egg, a chocolate Peep, and a chocolate bunny, that can’t be too bad. Right? One of small yellow peeps contains a whopping 34 grams of sugar. Lindt Chocolate Bunny. First, the “serving’ size here is half a bunny! You’ll probably eat the whole bunny, and consume a shocking 50 grams of sugar. Your little ‘snack’ comes in at 84 grams of sugar. Add a fistful of jellybeans, and you’re at 100 grams. The sugar adds up, and it damages your teeth! Our Dental Tips for you this Easter! Sticky and Gummy candies. This candy stays longer on your teeth, which gives cavity-causing bacteria more time to work. Also, these candies can damage fillings and dental restorations. Hard candy. Similar to sticky candies, these kinds of candies stay in your mouth is more extended, so the sugar stays in contact with your teeth. They can also damage fillings and restorations. Sour candy. Sour candy is often very acidic. Acids weaken and damage tooth enamel, making your teeth more vulnerable to cavities. Dark Chocolate. Chocolate, particularly dark chocolate is probably your best bet. Chocolate washes off your teeth easier than other types of candy, and dark chocolate contain less sugar than milk chocolate. It also contains flavonoids and bean husk, both of which support oral health. Dark chocolate is also good for dieting people. You can eat as much as you can without worrying about gaining too much. Drink lots of water. People tend to consume more soft drinks, coffee, juices, and alcoholic drinks on holidays. When you add these drinks to sugary Easter treats, it becomes a recipe for staining and damaging tooth enamel and causing cavities. One of the best ways to combat this holiday habit is by drinking more water to wash away excess sugar and acid. Water also helps in stimulating saliva production. Choose non-candy based gifts for children. Candy is the default gift for Easter, particularly for children. And we’re not saying don’t give any candy. But there’s nothing to say that candy has to be the only gift in an Easter basket. So, instead of filling an Easter basket to the brim with candy, consider toys and games, perhaps even books. These fill an Easter basket faster, are more fun, and last longer. You can also include books, CDs, and accessories. This helps divert the children’s attention towards healthier and better stuff. Wait to brush. It might seem to make sense to brush your teeth straight after you eat your Easter candy, but this can be harmful. Sugar and bacteria combine to create acid, and this softens the enamel. When enamel is soft, brushing can wear the enamel away and force any acid deeper into the enamel. To minimise the contact of sugar and acids, it is a better idea to rinse your mouth out with water after eating (candy or meals). Wait for a half-an-hour after eating to give your saliva time to neutralise the harmful acids, before you even consider brushing. Eat “cleansing” foods. “Crunchy” vegetables and fruits like celery, apples, carrots, and green peppers stimulate saliva production, which helps to protect the teeth from bacteria by helping to break down and wash away sugars. These foods also have high fibre levels, which act as natural toothbrushes. These also help freshen up your breath, keeping you away from bad breath and eventually, periodontal diseases. No grazing. There’s nothing wrong with enjoying some candy, but at Easter many of us leave out baskets of candy and other sweets all weekend long. This not only leads to overeating but also grazing. Because your enamel softens when you eat, constant grazing keeps the enamel of your teeth weak, stopping saliva from remineralising them. Grazing also leads to the consistent presence of sugar in the mouth, which leads to decay and cavities. At Forster Dental Centre, we provide patient care that allows you to have healthy teeth and a beautiful smile for life! We offer a wide range of dental services including preventative, restorative, and cosmetic dentistry. 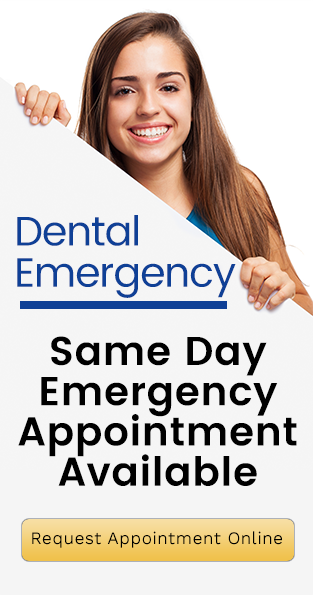 Forster dentist is also serving local communities in Tuncurry, Pacific Palms, Smiths Lake, Hallidays Point, Failford, Old Bar, Nabiac, Taree, Manning Valley, Bulahdelah, Harrington and Great Lakes. For more information, contact us on (02) 6555 5554 or book your appointment online here. We are located at 1st Floor Forster Tower, 12 Wallis St in Forster.